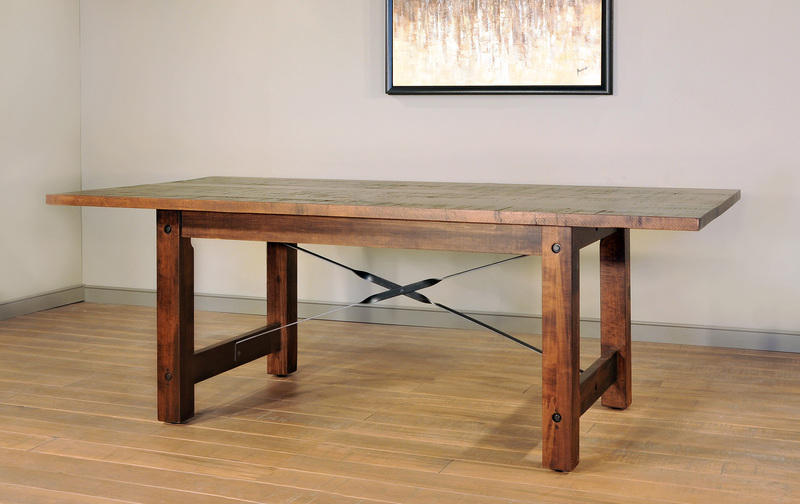 Beam series table features rustic and modern styling. Inspired by metal supports that supports barn beams. Comes standard with 1 1/4" thick tops, 3 7/8" thick legs on the trestle, and metal cross stringers. There are many sizes to choose from, but extensions/leaves are not available.